Vilano Beach Movers | NO Fuel or Travel Charges. Get a Free Quote! At St. John’s Moving and Storage we strive to give you a stress-free moving day. We understand our industry and what it takes to satisfy our customers. Our dedication to service means we don’t use underhanded methods, like inflating your bill or cutting corners. We are honest in our services, rates, and methods. One of the ways that we ensure the best service possible is by assigning enough people to do the job. By sending enough people we make sure that it gets done as fast and carefully as possible. We won’t send two guys to do a job that should take a full crew! Every one of our Vilano Beach movers are trained and experienced. They are courteous, helpful, and a pleasure to work with. We conduct thorough background checks for every person on our team and train them in-house before they start working on jobs. We have found that doing it this way gives the customer a pleasurable experience beginning to end. 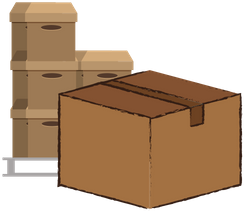 St. John’s Moving and Storage offers safe and reliable services for residential and commercial moves all over the Vilano Beach area. Our services are insurance-backed safe and secure guaranteed. So if anything happens, you are secured and protected. As a part of our safe and secure guarantee our movers will pack, wrap, and pad everything for you. Before we even start getting things on the truck, we’ll make sure that everything is secured, wrapped up, and padded as necessary. Whether big or small, we shrink wrap and pad ALL furniture. We use both plastic wrapping as well as padded quilts to make sure everything arrives in the same condition it left in. Our Vilano Beach movers are trained to handle all of your belongings with care and consideration. We offer both local and long distance moving services. Whether you are moving across town or across the country, your move is safe in our hands. Getting your stuff there will be the least of your concerns. And unlike a lot of other moving companies, you don’t even have to empty your drawers! Why choose us for your Vilano Beach move? 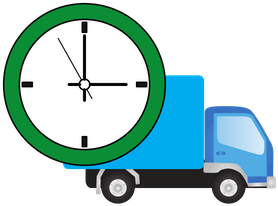 St. John’s Moving and Storage brings the best qualities of a mover to you: speed, skill, and experience! We follow high safety and quality standards and follow all state and local regulations. Call us today to take advantage of our Free Estimates for the Vilano Beach area! With one call and a few details we will be able to give you an estimate right on the phone. We service the following zip code in Vilano Beach: 32084.